This guide will hopefully explain the basic principles to remove the steering wheel, if you find any in-accuracies then please let me know. 1. 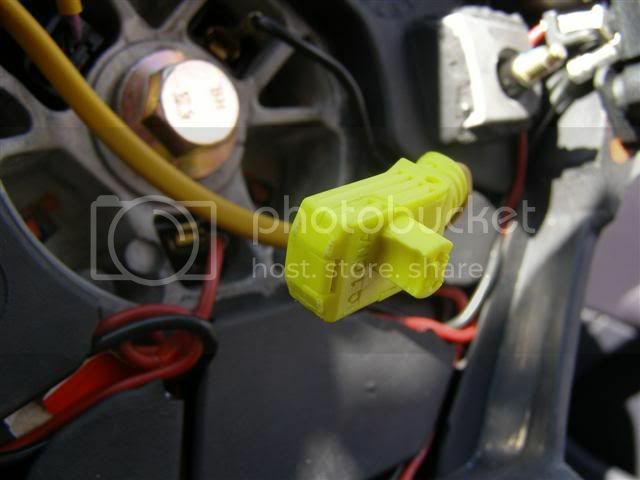 Disconnect the battery using the 10mm socket. 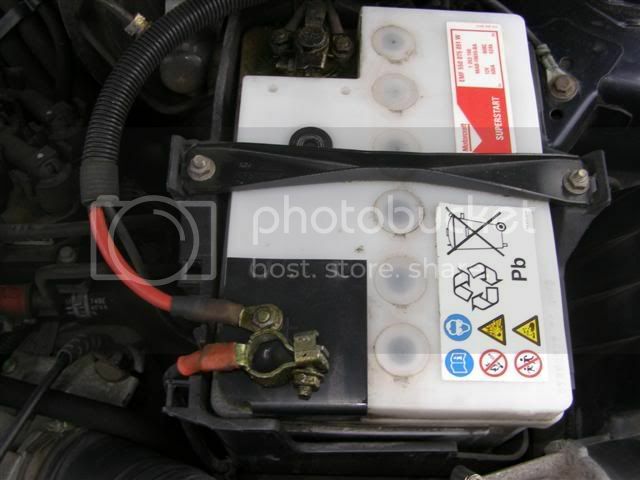 You should wait between 30-60 mins after disconnecting the battery before proceeding with the rest of the guide to allow the airbag module time to discharge. This should ensure that the airbag will not deploy whilst removing it. 3. 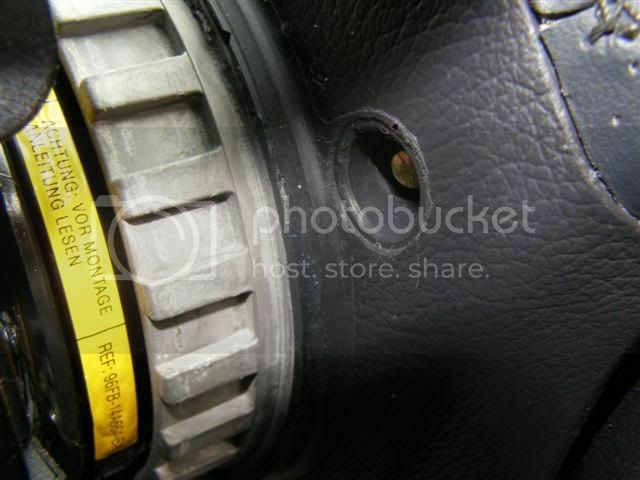 Unscrew the 5.5mm nuts on the back of the steering wheel. These don't drop out but you will know when they are loose enough. 4. Remove the airbag by pulling it toward you (it is clipped in so it requires a little force) then disconnect the cable from the airbag. 5. Store the airbag face up on a flat surface in a cool location. 6. 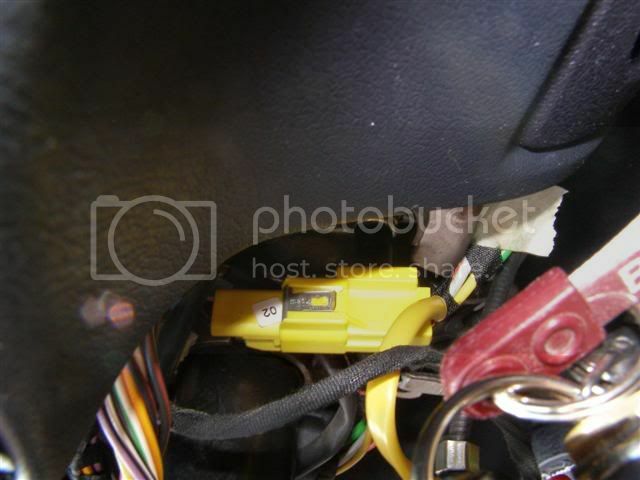 Disconnect the airbag cable from the inside of the steering column. 7. 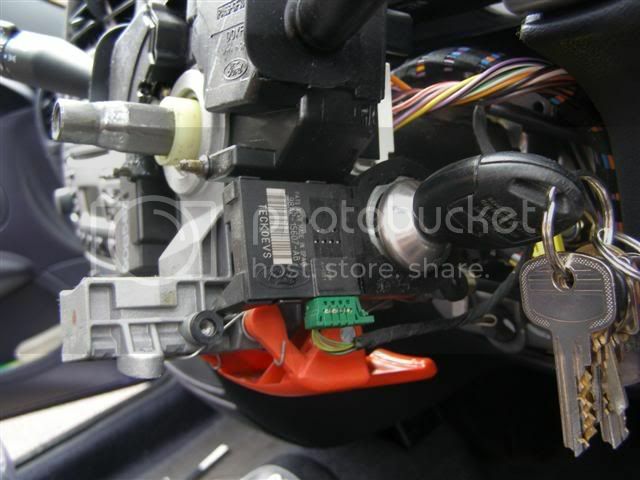 There is one Phillips head screw slightly left of the ignition barrel, undo this and free the airbag cable. 8. Using the 15mm socket undo the nut holding the steering wheel on. Once loose screw it in just a little bit for the next step. 9. Pull the steering wheel off. This requires some force hence why we leave the nut attached to stop us from hitting ourselves in the face with the steering wheel! 10. Once off remove the 15mm nut and take off the steering wheel. 11. To replace the steering wheel please reverse the procedure. This is how I take my wheel off when required and can confirm it does work. I changed my steering wheel this way and also once changed I found that the clock spring on my new wheel was faulty (flashing airbag light) so I went through this procedure again and replaced the clock spring with the one from my old steering wheel. I also greased the back of the clock spring upon replacement to aid smooth rotation and prevent the grinding or gritty noise that sometimes occurs. This guide is intended for reference only and I cannot be held liable for any damages incurred. 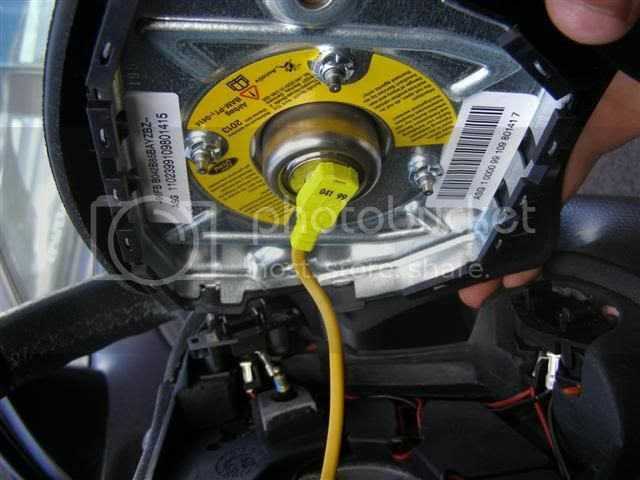 If you do not feel comfortable touching wires around by the airbag then leave it to a professional! If you require any further information on steering wheel removal or clock spring replacement please contact me via PM or email and I will be happy to try and assist! You just need a small 5.5mm socket i.e. that you get in the smaller socket sets with the thin end at the top probably no more than 8mm in diameter. If its a bit tight the rubber does give a bit and you can firmly press it in. What have you tried so far then? 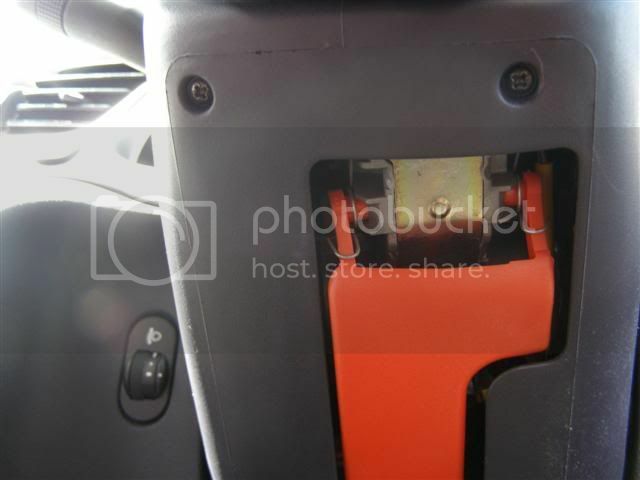 The nuts might not come out of the steering wheel once loosened but that is ok.
Red, whats the difference in the two pics you posted, they look the same to me! Between the 2 steering wheels? Look at the leather parts on the top one then again on the second one. Did you get the replacement from Ebay or direct from Ford? I had bought it off another member at the time; I ended up replacing it again with a fiesta steering wheel without the bits at the side as I was fed up with it wearing away. In saying that the replacement was second hand and had already started to wear, a new one would have been ideal! Is the steering column splined? Our wheel is off by a few degrees and I'm wondering if it'll be easier to take the wheel off or do it on the tracking instead (depending which end looks like it was worked on previously). Secondly, do you have a link where I can find those Puma logo floor mats? Puma logo floormats are available from Ford, along with various resellers on eBay, etc. expect to pay around £50. The steering column isn't splined, IIRC it is a hex shape. My clock spring needs replacing as it's making a grating noise and tends to go to the left over bumps and left indicator doesn't self cancel, I've read that the clock spring needs some sort of computer adjustment with some cars, is this true with puma's? I've never heard of anyone having a clock spring adjusted on a Puma. Depends on the garage you go to really and whether you're supplying the part. I'd say an hours labour would easily cover it. i still have a brand new ford black standard steering wheel for sale if anyones interested. 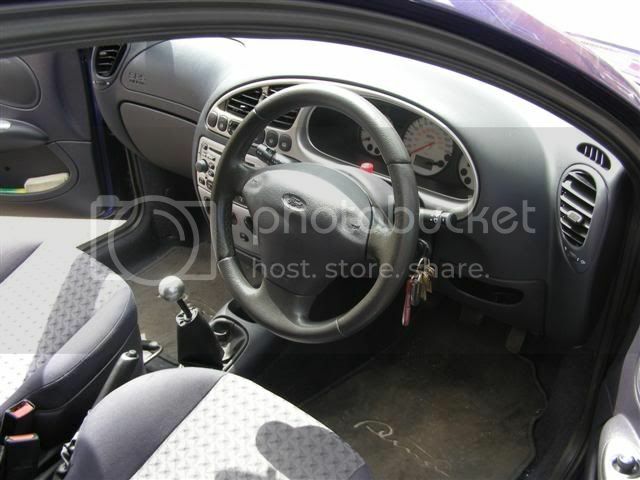 This is a genuine ford new steering wheel never fitted. Can you post this up as a sale ad please. Hi - Very Helpful post. 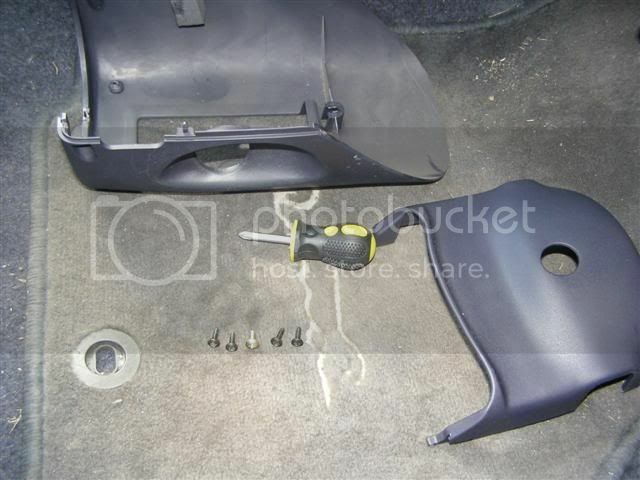 I am doing a Puma up for the track so really don't want an airbag going off at the wrong moment. Any body got any suggestions as to what wheels out there would fit straight in without a special boss / adaptor. Still need the horn to work to get through MOT - will this be possible? 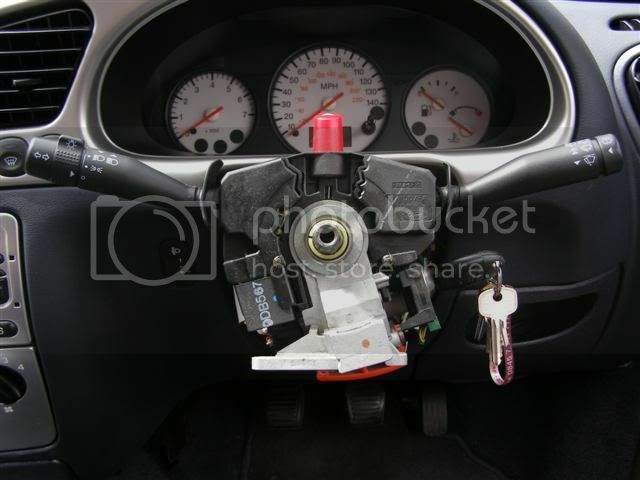 How can I get the airbag light to go out after I take the airbag away? I have heard about resistors that can be fitted - anybody got any thoughts or tried these. 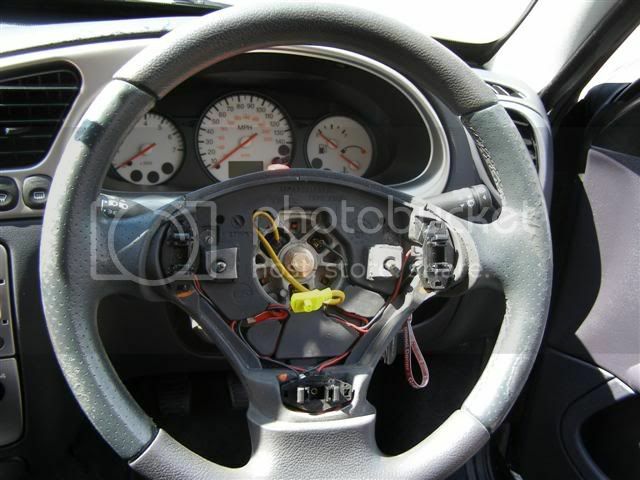 Anybody want to buy a used steering wheel in good condition with airbag etc? THEY CALL ME MR. PIG! AHHHH! Really helpful post - I am now away to rake through all my little sockets and see if I have a 5.5mm one! What about the airbag light - I intend fitting a non airbag wheel and changing to a bucket seat. How do I get rid of the airbag light? 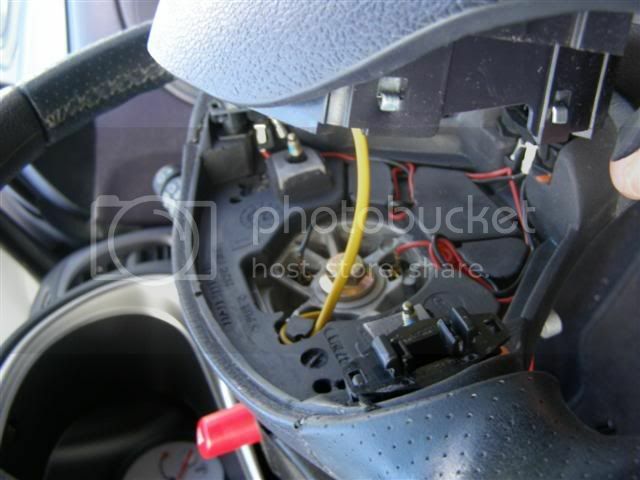 Can I get into the instrument cluster easily and remove the bulb? Also - wiring the horn up - any thoughts? The Boss I bought has no wires. 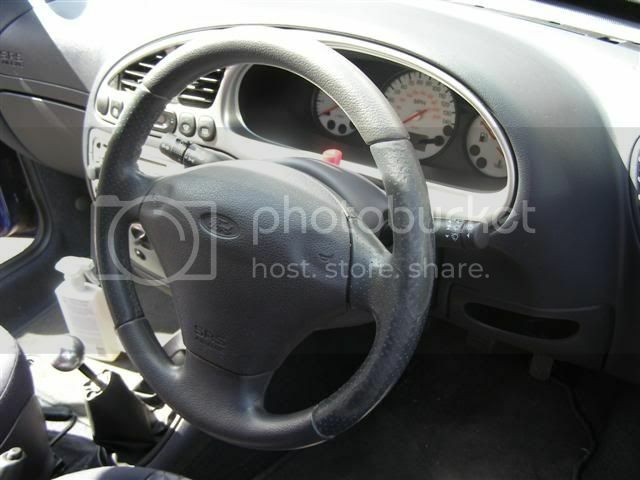 Still to buy a steering wheel so I guess if I get one with a centre horn push it will come with the wires? Is it easy or am I missing something? 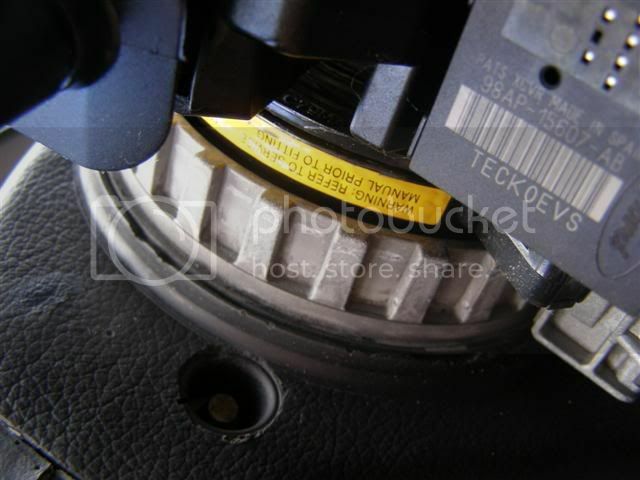 I may sound mad and I am, but I do see that there is no such plate on the wheel shown on the pictures before pulling it off if it was taken than and I didn't want to try to put it back without the thing in fear parts will get damaged, if nothing it does distance it for about 6-7mm and has oem Ford sign on it and was put that way in the factory!!! Last edited by Dal on Wed Dec 24, 2014 4:47 pm, edited 1 time in total. Yep never seen that, I've seen the one of my old 99 T, my 00 FRP and a 01 replacement I picked up so it could be that it was on earlier ones. Worth watching out for I guess. 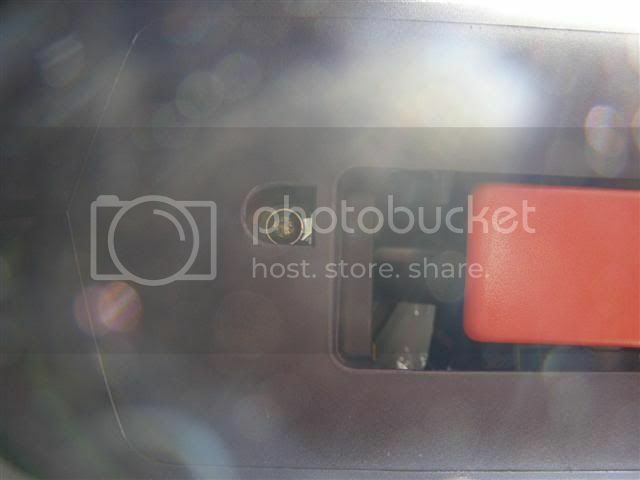 Although, on the later steering wheel you can see the cast still alllows for the tapping into to secure that plate….? 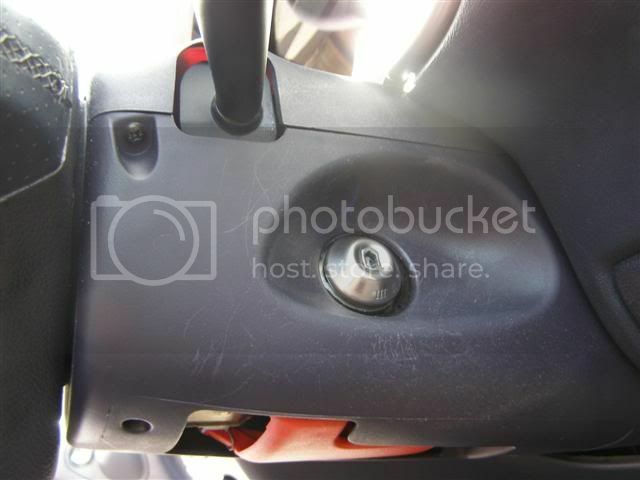 Does this mean that the airbag of a 2001 Fiesta/Puma like this link fit to my '97 Puma without the airbag light going on?